Born in Nantong, Jiangsu Province, Jianjun Xi is a seminal British Chinese artist, living and working in London and Beijing. He is working in different art media like performance but also installation, sculpture, video and painting. He graduated in 1986 from the Central Academy of Craft Art (now The Academy of Arts & Design of Tsinghua University). Jian Jun Xi is one of the founders of“Concept21(观念21)” - one of the first performance art groups in China. In 1987, he moved to Britain. In 1988, invited by Delfina Studio Trust (DST), he worked in London for 2 years, and in 1992, he was invited by a residency program to Cité International in Paris to work in France for 2 years. In 1995, Xi got his M.A. from Goldsmiths’ College, University of London. In 1999, Xi and artist Cai Yuan established “MadForReal” art group, which started a series of creations in performance art. These two artists implemented very influential performance art works in prestigious art institutions in both Europe and the US. 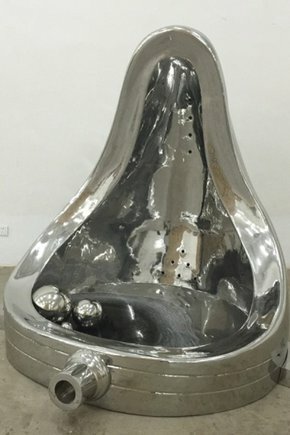 Among the works, “Two Artists Jump on Tracey Emin's Bed”and “Two Artists piss on Duchamp’s Urinal” were praised by authorities in western art as ”The most creative and advanced performance art today”. They have exhibited their solo and group work in galleries and professional art institutions in more than 20 countries, including Tate Modern, Berlin Art Palace, Beijing Ullens Center for Contemporary Art, Malmo Contemporary Art Museum in Sweden,etc. Xi’s works are collected by individuals and art institutions like China Minsheng Art Museum, Australia White Rabbit Gallery, and British Museum. Jian Jun Xi is now president of UK Chinese Arts Association, and is the founder member of “China Performance Art Research Center”. In 2006, he was awarded the Jackson Pollock Art Prize. In 2007, supported by the UK Art Council Research Grant, Xi came to China to do research, in the meantime, he gave lectures and attended exchange activities at Tsinghua University, Peking University, Fudan University and other universities and academic institutions. In 2013, Xi established “China Live Art Website”, and in 2015, Phoenix Art awarded him the “the most appealing artist”.Xi has actively participated in exchange and the development of culture and art between China and Britain. Inviting many renowned curators and artists to China, Xi is endeavored to promote the cultural and artistic communication between China and Britain.